Are Practica Worth the Effort? Women and Leadership in Canadian Education. 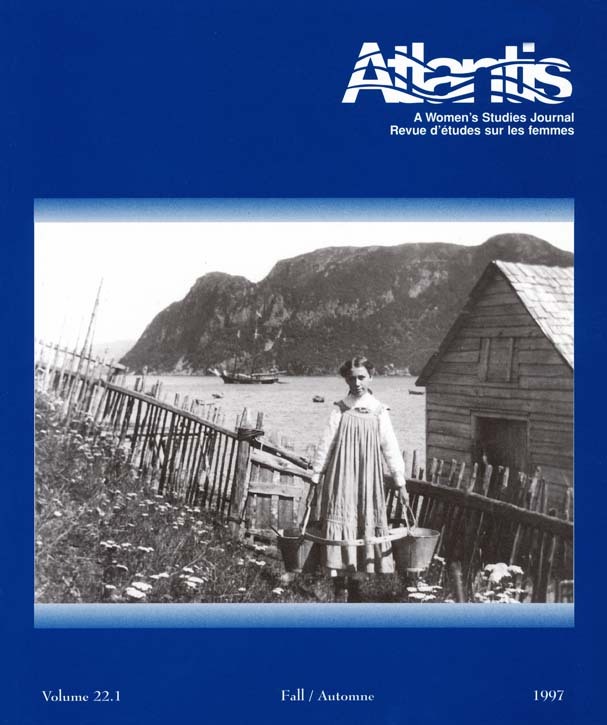 Cecilia Reynolds and Beth Young; Feminism and Education: A Canadian Perspective, Vol.2. Paula Bourne, Philinda Masters, Nuzhat Amin, Marnina Gonick and Lisa Gribowski; Anti-Racism, Feminism and Critical Approaches to Education. Roxana Ng, Pat Staton and Joyce Skane (eds.). ; Repositioning Feminism and Education: Perspectives on Educating for Social Change. Janice Jipson, Petra Munro, Susan Victor, Karen Froude Jones and Gretchen Freed-Rowland. Refiguring Modernism: Volume One, The Women of 1928; Volume Two, Postmodern Readings of Woolf, West and Barnes. Bonnie Kime Scott. Safe Haven: The Refugee Experience of Five Families. Multicultural History Society of Ontario, Elizabeth McLuhan (ed.). Muriel Duckworth: A Very Active Pacifist. Marion Douglas Kerans. Aborting Law: An Exploration of the Politics of Motherhood and Medicine. Gail Kellough. Motherland: Tales of Wonder. National Film Board (Studio D) video directed by Helene Klodawsky. Feminism, Breasts and Breastfeeding. Pam Carter. The World of the Ploughwoman: Folklore and Reality in Matriarchal Northwest Spain. Marisa Rey-Henningsen.